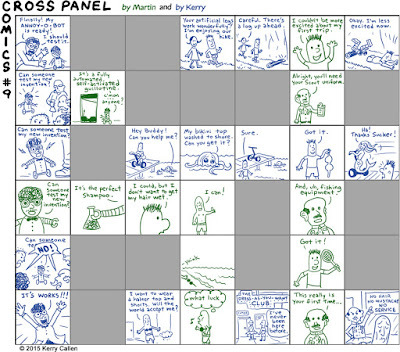 For a longer explanation of Cross Panel Comics, click here. Try it! It's hard and fun! 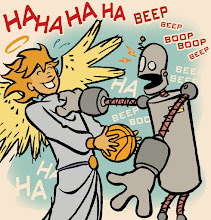 To see all our Cross Panel Comics, click here! Wow, it's been a while since my son and I created one of these. It's a game we play that's a mix of improv, scrabble, and comic creation. 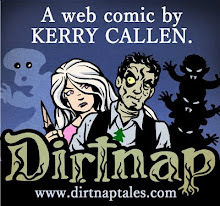 We do it in pencil and then I ink it for better readability. 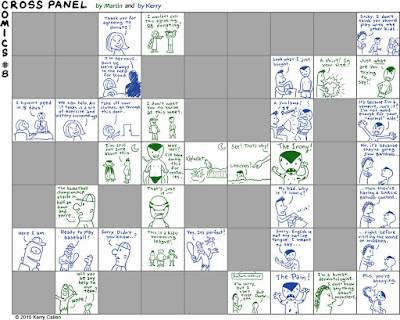 For a longer explanation of Cross Panel Comics, click here. 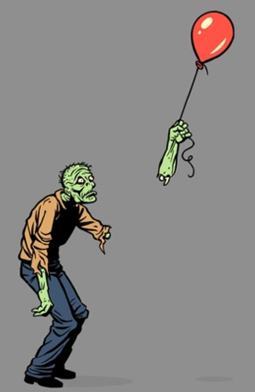 We do it to amuse ourselves, but they're always fun to share! To see all our Cross Panel Comics, click here!